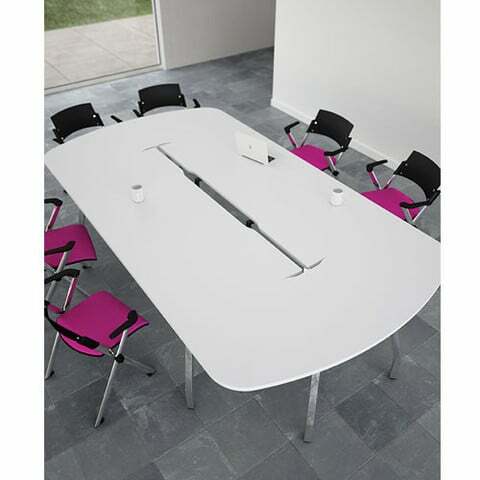 25mm tops with high impact resistant edging in a range of attractive finishes make this range of tables ideal for complementing any meeting room décor. 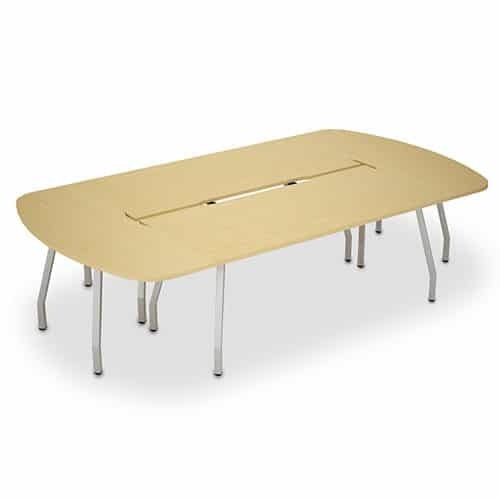 A simple interconnecting underframe provides strength and durability whilst keeping knee space clear for comfortable and ample seating space. The Script range is ideal for single or complete office desking solutions.